Builders and how they can MAGNIFY & AMPLIFY your NLP skills for success. 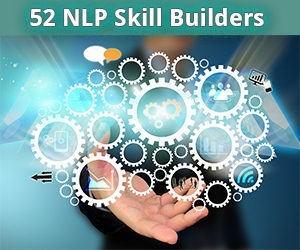 The 52 Skill Builders take the tools and techniques you have already learned from NLP and gives you the opportunity to dive in to greater depths, so that you get more out NLP and can be more effective when using NLP skills. Like seeing the forest through the trees! You will be able to use the NLP skills more like second nature, without thinking so with practice the more your skills unlock, and unleash the biggest potential for success with NLP. You will discover many more applications of NLP skills that you hadn’t thought of before so you can apply them to your personal and professional life. You will be able to talk about communications and NLP in particular, a lot easier, so that you can be more confident and creative with others about NLP. You will be able to do more effective change work on yourself and others. You will have fun being included in a group that is all practicing the same NLP skill so that you share common experiences, as well as learn form other at different skill levels. That’s why we’ve developed 52 NLP Skill Builders. A carefully crafted program from the creative mind of Society NLP, Richard Bandler, Trainer Pam Castillo. Pam’s has proven skill building methods since 1999 – in private practice and then in certification training, and later pioneering NLP in new applications such as loving relationships. 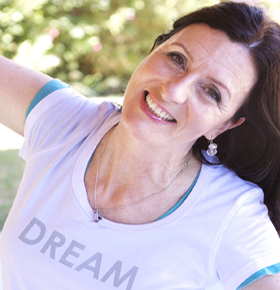 Pam is Los Angeles’ most experienced and recommended NLP trainer by the Society of NLP, Richard Bandler. These exercises will help clarify your skills, and harness the big picture into the right amount of detail you need to make your NLP skills more, and more effective. Each skill builder is like a painter’s tool. Like an artist,– first you learn to mix the colors of like red and blue make purple. That’s the NLP exercise. – Then through through the quick summary, and the deeper structure commentaries you learn at the other-than-conscious level like an artist learning to make a warm purple, a cool purple, a light purple, or a dark purple making your skills feel intuitive. That’s the scope of the NLP exercise. • Each exercise will have an in-depth explanation that speaks about the deeper structure for those who want a more challenging experience. most experienced NLP Trainer and/or others highly trained NLP Master Practitioners who have been mentored by Pam Castillo at Clarity Institute. more effortless, and a lot more fun to use NLP more skillfully! Once upon a time there was a person who learned to play an instrument. Their dream was to play their instrument at venues where they would be seen and heard, by people who would talk about them, and praise their musician ability, so they would get more, and hopefully even bigger gigs. The musician told everyone they met that they are a “professional” and they were looking for gigs. But, just because it was their dream and they told everyone they were a professional musician, didn’t mean they practiced their instrument, as much as they could, to really hone their musical skills. They didn’t walk their talk. They were just talking their dream. One day, someone invited them to play at a small event. The musician was excited because they knew, this was a gig that could increase their profile and lead to future gigs, but because it was just a small event, or maybe because the musician was just a talker. The musician didn’t take the time, or make the time to practice the tunes they said they would play at the event. Why? perhaps because they had played those tunes before, and they believed they had mastered them, or perhaps they believed they were as good as they thought they were. Regardless, of the why, they quickly ran through the first few bars of each tune, and felt confident they could play the tune all the way through, or they could fake a few bars if they forgot. Of course, it takes very little to imagine what happened at the small, yet important event to the musician. The musician clearly hadn’t practice for the gig, and everyone watching and listening knew it. The event organizer was disappointed, and simply paid the musician. But, more importantly, the event organizer decided they would never hire or recommend the musician in the future. Sadly, the musician wasted an opportunity that could have increased their profile, and lead to future gigs. They under estimated the importance of practice. life begins and ends with continuous practice of NLP as well. Discover the *superpowers* you have within when you by strengthen your *NLP skills*, while enjoying exchanging ideas, and sharing experiences with fellow NLPers. The 52 NLP Skill Builders Facebook Page (available only with your purchase of the 52 NLP Skill Builder Program) is your playground with likeminded NLP friends. Feel comfortable with others who are exploring the best of NLP as they practice each of the 52 NLP Skill Builder exercises along side you.